At all times, the decisions made by the parents will be for your child’s psychological, spiritual, and physical well-being and safety. Do make and confirm parenting-time arrangements beforehand between the parents without involving your child. Do notify each other in a timely manner of any need to deviate from the schedule between homes, including canceling time with your child, rescheduling, and punctuality. Do communicate with your coparent and make similar rules in reference to discipline, routines, sleeping arrangements, and schedules between homes. Appropriate discipline should be exercised by mutually agreed upon adults. Do keep your coparent informed of any scholastic, medical, psychiatric, or extracurricular activities or appointments of your child. Do keep your coparent informed at all times of your address and telephone number. If you are out of town with your child, do provide your coparent the basic travel itinerary and a phone number so that you and your child may be reached in case of an emergency. Do not talk negatively, or allow others to talk negatively, about the other parent, their family and friends, or their home within hearing range of your child. This includes belittling remarks, ridicule, or bringing up allegations, whether valid or invalid, about issues involving the adults in the coparenting relationship. Do not question your child about your coparent, the activities of your coparent, or regarding your coparent’s personal life. In other words, do not use your child to spy on the other parent. Do not argue or have heated conversations when your child is present. Do not make promises to your child to try to “win your child over” at the expense of your child’s other parent. Do not schedule extracurricular activities for your child during the other parent’s time without your coparent’s consent. However, do work together to allow your child to be involved in such activities. Do not involve your child in adult issues and conversations about custody, the court, or the other parent. Do not ask your child where he or she wants to live. Do not attempt to alienate your coparent from your child’s life. 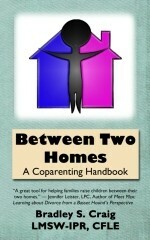 Do not allow stepparents or others to negatively alter or modify your relationship with your coparent.